SMEs require flexible capital while still in its growth phase. As a business grows, the need for extra finances always crops up. 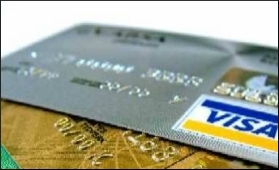 Often, business owners who own business credit cards,turn to taking to a cash advance on the credit card. A cash advance typically means that the bank allows clients to withdraw an amount of cash immediately, subject to a high interest rate. Need to keep your business afloat? Factoring finance could be a good idea for SME India.Ideal for B2B companies, factoring is when a business sells its accounts receivables to a financing company. This now means that the factoring finance company owns them, and the customer becomes responsible for paying them instead of the company. Businesses often need finance to cater to client orders and,often, theyturn to Purchase Order Financing for business funding. Purchase Order Financing involves one company paying the supplier of another company, for goods that have been ordered to fulfil a customer requirement. Several businesses turn to Purchase Order Financing for business funding because, unlike banks, this financing model mostly assesses the financial strength of the company that has placed an order with a business, instead of the business itself. Small business payments are popularly done through credit cards, especially when the business owner has not been in the business long enough to qualify for a bank loan. Credit cards are also used as they facilitate faster access to capital when compared to traditional loans. You can also apply for a merchant cash advance for quick finances. A merchant cash advance is a type of loan that depends upon the future revenue of a business. This type of business funding puts any small business in a very comfortable financial position, ensuring funds regularly flow through the business merchantâs account. This is a source of business financing preferred by many small business owners. Small businesses often need quick loans for immediate financing. This is where short-term loans come in. Such loans are often repaid within 90-120 days. Not only do they help a business keep afloat in the time of need, but since their maturity tenure is shorter, they need to be repaid faster, reducing the long-term load on a small business. ** By association with Digikredit Finance Pvt Ltd., an NBFC, which operates under the name SMEcorner and offers credit to small business owners. Requires short term cash credit to cater the coming festive season needs.